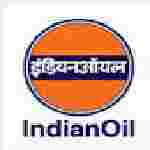 IOCL Technician Apprentice recruitment 2016-17 apply for 45 vacancies: Indian Oil Corporation Limited (IOCL) welcomes application for the position of 45 trade Apprentice and Technician Apprentice for its Guwahati refinery at Noonmati, Guwahati (Assam). Candidates who completed their B.Sc., diploma, matric, ITI is a good opportunity.The individuals who are the occupation seekers searching for govt employments in Assam this is the best chance to apply. Competitors read the official notification then read all the guidelines and miners precisely then apply before the last date online application got. All the interested and eligible candidates can apply before 31st July 2016. Candidates Age Limit: The age of the candidate should not be less than 18 years and should not be more than 24 years. The age of the applicant should be as on 1st June 2016. Academic Qualification Details: Candidates should have 3 year full time B.Sc. in physics / Math / Chemistry / Industrial chemistry or matriculation with 2 year ITI (Fitter) course. Academic Qualification Details: Candidates should have 2 yea full time diploma in chemical engineering / mechanical engineering / refinery and petrochemical engineering / electrical engineering / instrumentation engineering / instrumentation and electronics engineering instrumentation and control engineering. Process of applying for the job: Candidates may apply in prescribed application form and send the scanned copy to the e-mail “grrecruitment@indianoil.in" on or before 31st July 2016. Important Dates: Last date for the submission of application is 31st July 2016.